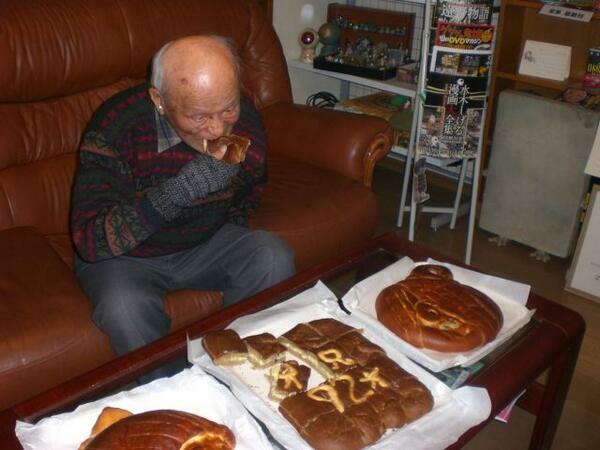 Shigeru Mizuki is 92 years old today. (A day early, I know. But March 8th falls a day earlier in Japan.) On his last birthday, he was already hailed as the world’s oldest working comic book artist. He still holds that title—just another year older. “That’s something I really can’t understand. Why doubt yourself? It feels so much better to be proud—to have confidence. 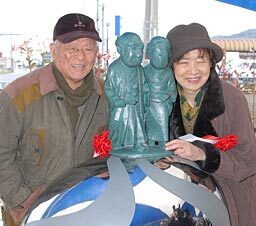 There is no word I can think of that encapsulates Japan feels about Shigeru Mizuki other than “beloved.” He is, to the country, a sort of living Buddha; an embodiment of joy and happiness and imagination. In 2010 he was officially recognized by the Japanese government as a Person of Cultural Merit. In 2012, a TV show called Gegege no Nyobo portrayed the romantic story of how he met his wife through an arranged marriage and how they fell in love anyways. Like Osamu Tezuka and Hayao Miyazaki, he is one of those rare individuals who shapes the fantasy dreams of an entire country. (I might even say that while Tezuka shaped Japan’s dreams of the future, Mizuki shapes its dreams of the past. And Miyazaki its present.) The only conceivable American equivalent I could conceive of might be Walt Disney when he was a living man and not a corporation. Or JRR Tolkien, if he were less academic. Or Willy Wonka if he were real. Mizuki is an artist and a scholar whose work transcends genre and medium. 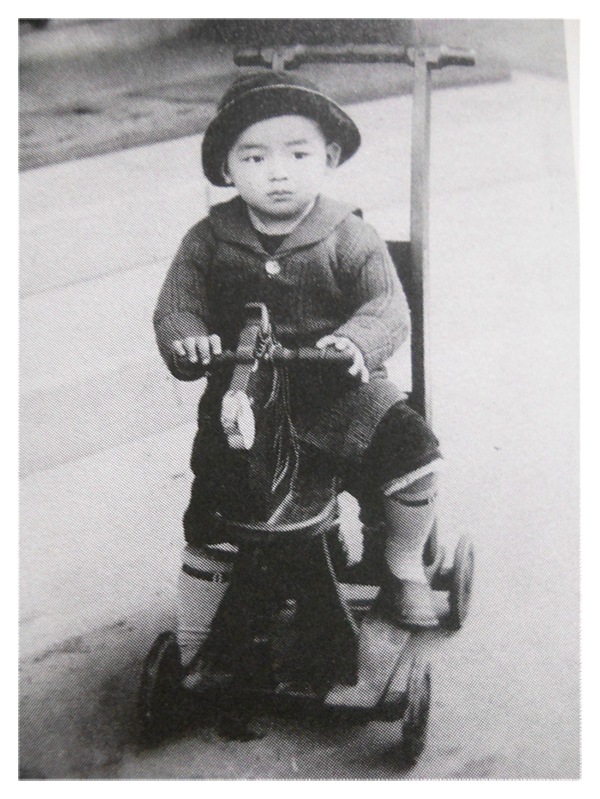 He was born March 8th, 1922 in a small fishing town in Tottori prefecture called Sakaiminato. From a young age he was recognized as an artistic prodigy. His work was published in local newspapers and magazines, and he had his first solo exhibition while he was still in Elementary school. His career as a comic artist began when he returned home from WWII, his drawing arm lost to an Australian bomb while he was in a hospital suffering from malaria. (For more, see Mizuki Shigeru in Rabaul) Mizuki relearned how to draw with his left arm, and began a brief career as a kamishibai artist making paintings for the paper theater popular at the time. He didn’t have his first hit until he was in his 40s, with his horror comics Akuma-kun and Hakaba Kitaro, which later transformed into Gegege no Kitaro (published in English simply as Kitaro .) 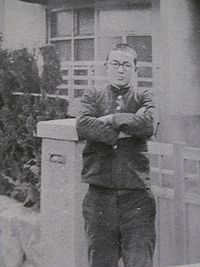 In the 1960s Mizuki helped pioneer the concept of gekiga or art manga, in the magazine Garo, transitioning comic books from children to adult readers. 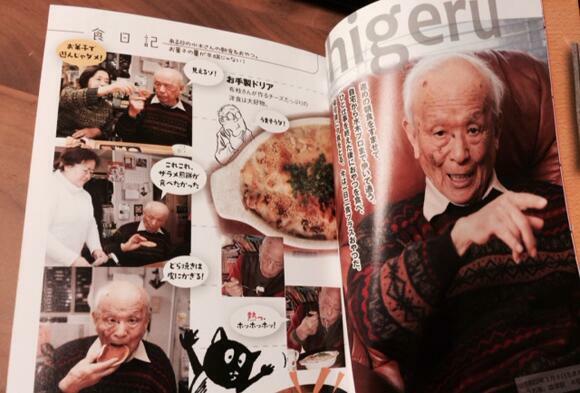 In his 60s, bored with the daily grind of manga he embarked on a new career as a world folklorist. 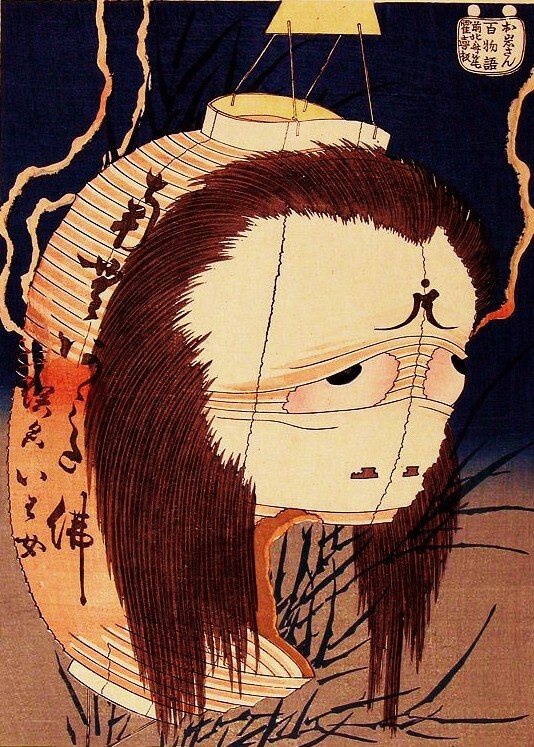 He began to seriously study the monster and folklore culture he was so fascinated with, and created a series of encyclopedias that cataloged both Japan and the world’s folklore. 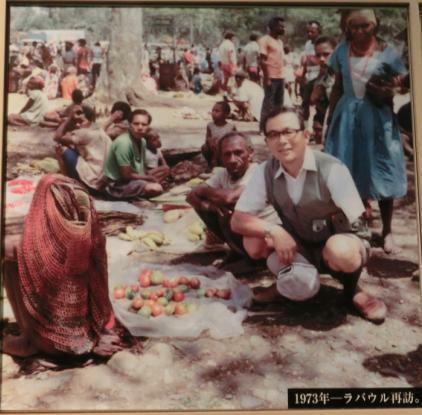 His work was recognized for his scholarly nature and he was invited as a member of The Japanese Society of Cultural Anthropology. 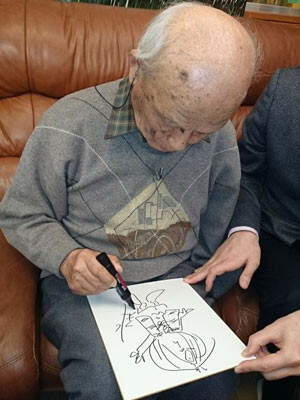 One of the things I love so much about Shigeru Mizuki the person is that—for all his legendary status—he remains very human. He is not aloof and imperious like Hayao Miyazaki. 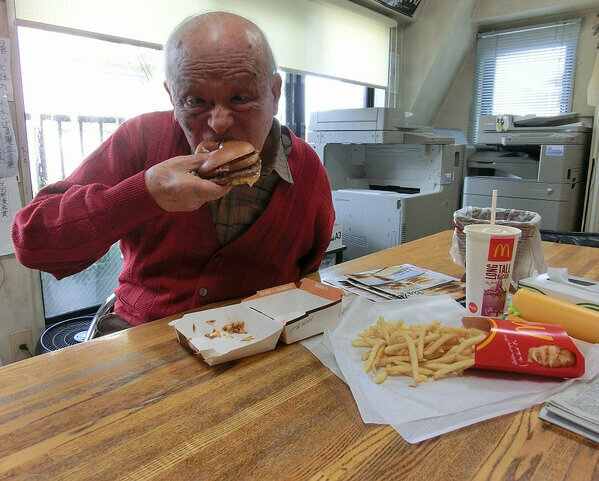 Mizuki Shigeru posts pictures of himself chowing down on fast foods. He picks his nose. He is very much a man who inhabits a human body, and isn’t ashamed of it, and he doesn’t distance himself. But he loves life and attacks it with gusto. It is my great privilege and pleasure to translate some of Mizuki Shigeru’s works and make them available for the English speaking world. That is a wider world than you would think. Many more people world-wide speak English than Japanese—even as a second language—and I have gotten emails from people as far away from Brazil excited to be reading Mizuki’s works for the first time. I’ve been a fan of Mizuki’s works since I discovered them in Japan more than a decade ago, and I honestly thought they would never get English translations. They were just too weird; too … “Japanese” for lack of a better word. But now they are here, and with more to come. I am especially glad that the Western world discovered Mizuki Shigeru while he is still alive. Too often we wait until someone is dead to properly honor them. And every time I see Mizuki Shigeru’s grinning face, I hear the whisper of Yoda coming somewhere in the background. Damn straight. Dream on, beautiful dreamer. 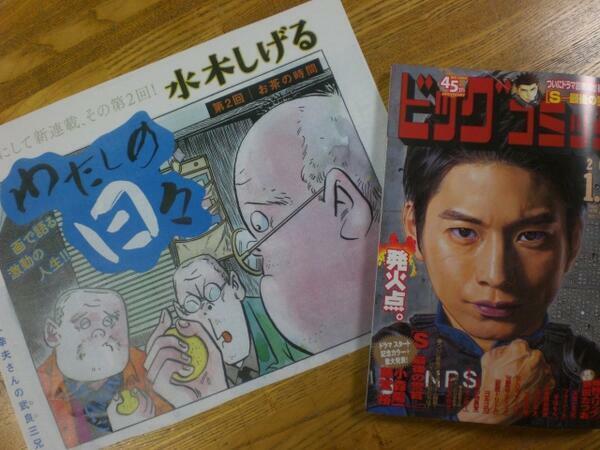 At long last, Shigeru Mizuki’s fine works are available in English. Do yourself a favor and read them all! 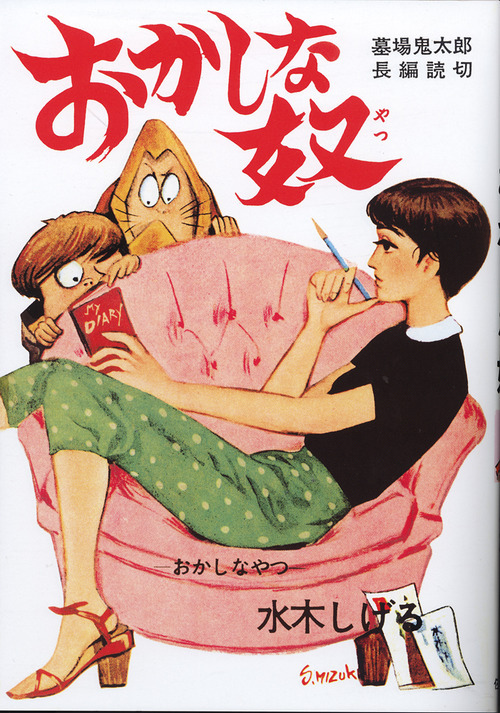 Even if I stumbled on Gegege no Kitaro here and there (mostly through seeing merchandising in manga stores), I never truly knew about Shigeru Mizuki until I began reading your blog. It quickly made me interested in his works (especially Showa: A History of Japan, even if Kitaro also seems very interesting to yokai “fans” (if one can call us like that!)) and I was one of those people that felt happy that people like you translated his words to English, so thank you so much for your work! English isn’t my first language, but as you said, at least I can speak it, unlike Japanese. Even if I had yet to see him as an author, the blog entries you made about Mizuki made me think of him as a very interesting, gifted and also lovely person. I love the photos where he happily eats some junk food, especially after reading about this “hobby” of him. So I hope he lives for many more years to come and keeps being as enthusiastic as he is today; happy birthday to him! I bet he’s one of those artists, of those people, that will live forever if only through all he gave to us readers and humans in general. Thank you again for all your work both translating and posting here, too. Have a nice day! PS: I didn’t know Hayao Miyazaki came out as imperious, truth is that even if I like his movies (or well, Ghibli’s? 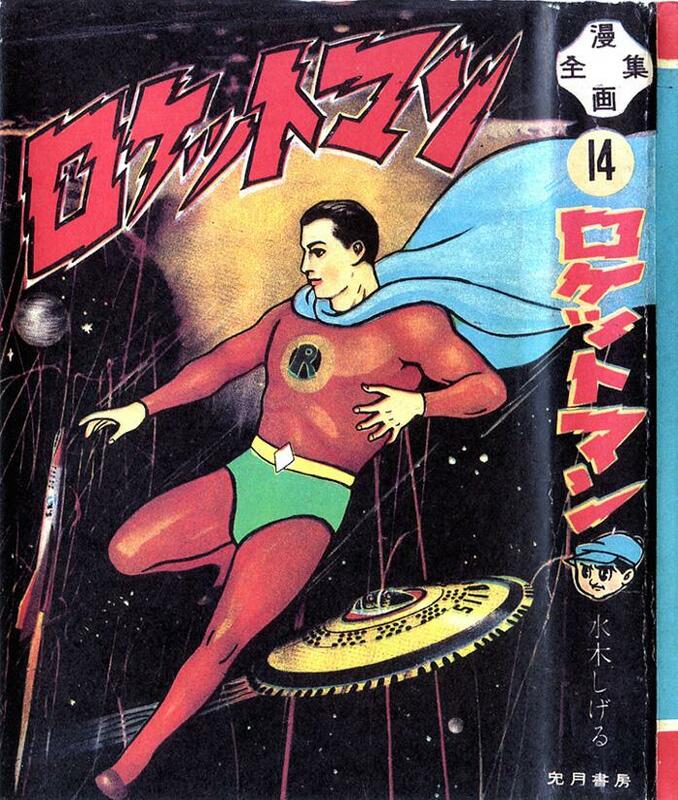 I’m not sure…), I can’t recall reading much about his life, interviews or else, nor about Tezuka. Thank you Susana! Where are you from? I think it is so cool how many people read my website worldwide. I never expected that when I started! Mizuki is an amazing person, as interesting as his books. He has written so many different kinds; philosophy books, history books, folklore … only a tiny percentage has been translated. But even that tiny percentage is better than a few years ago when there was nothing. And yes, Miyazaki can be imperious. He keeps himself apart from everyone. 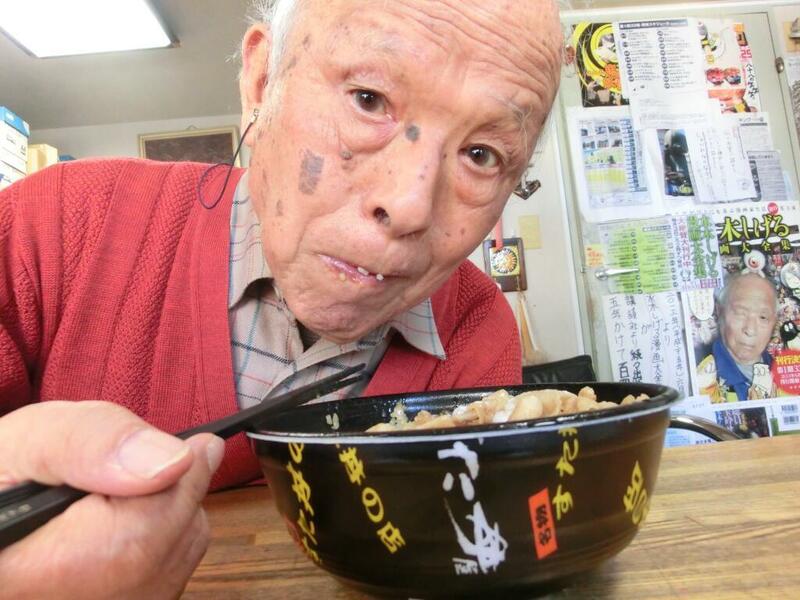 The opposite of the life-loving Shigeru Mizuki. I don’t remember how I found out about your website, sadly! But I make sure to link it to anyone that is interested in Japanese folklore as long as they know some English ;] You really make a great job with this blog and I’ve learned a lot on it. As you say, a tiny percentage is lot better than none, so good work! I’ll get the books (as well as yours about yurei) as soon as I can, I made sure to note them down on my wishlist already. 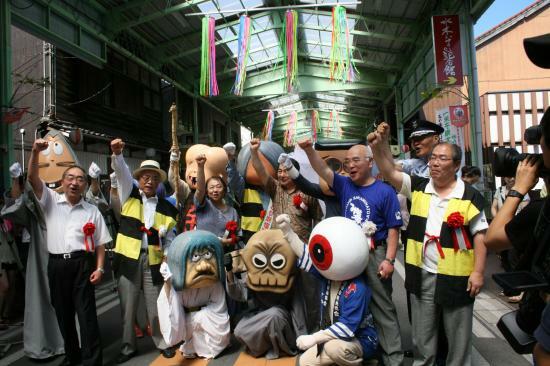 I see, didn’t expect Miyazaki to be a distant person, well, everyone is different, I guess. A truly great man. I’d love to meet him. It’s a real shame his works and cartoons are not more widley known in the West. Kids woiuld love GGeGe no Kitaro. I’ve only met him once. I would love the opportunity to meet him again. And hopefully his work will become better known as more of it gets translated. Wonderful post Zack! And Happy Birthday Mizuki sensei! O-daiji ni,Mizuki Shigeru-san! Happy 92nd Birthday! 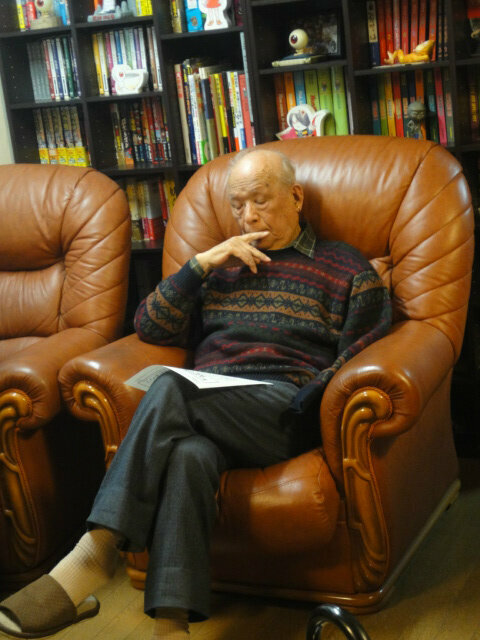 As an 86 year-old Kansai-jin born in Kobe (son and grandson of missionaries to Japan)and raised in Nagoya, I was delighted to run across your Manga History of Japan,Showa. I finished volume 1 and am happily half-way through reading volume 2 (and look forward to volume 3). I returned to America in 1939 with my mother and sister (my father followed when his furlough came due). I had to learn to be an American boy. World War II, of course, delayed any return to Japan. Showa covers my time in Japan. 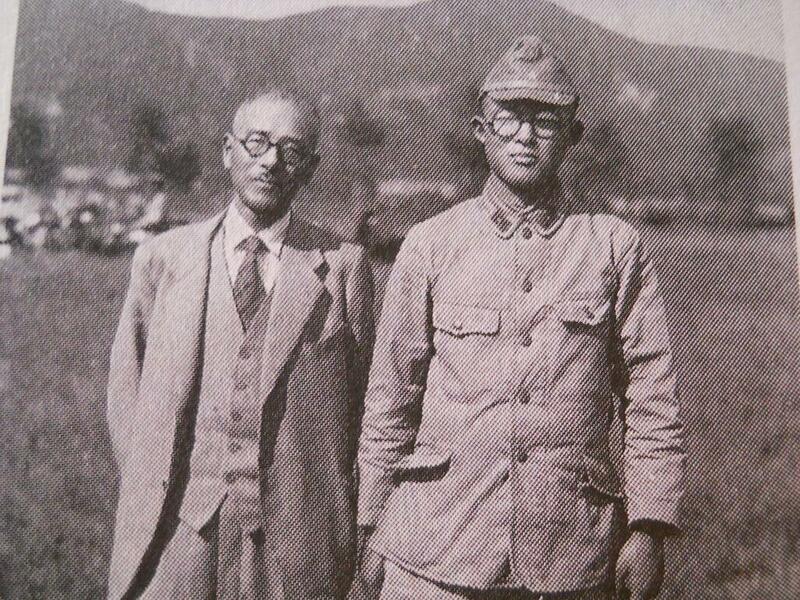 At the end of the war, my father returned to Japan to help with renewing friendship and care with his old friends and teachers. I followed in 1953 and was stationed there until 1958. I renewed my Japanese (still, I’m afraid my accent giving me away as both a Kansai boy and as a kid born in Japan—speaking kid’s Japanese). I’d like to visit Japan again some day. I know the house where I lived in Nagoya has been replaced by a hotel and the dirt roads of the village where we lived (just a short bike ride from Yagoto Zoo (riding on Sakurayama). I used to sit with my Japanese friends in the dirt listening to the story-teller tell us all about Kin Taro, Urashima Taro and Momo Taro! I still have 3 Japanese comic books of the day (purchased at Matsuzakaya in Nagoya). I was introduced to modern Manga by reading A Drifting Life by Tatsumi Yoshihiro and quickly and joyously went on to your fine works as well. Domo arigato gozaimasu, Mizuki-san. Anata wa Ichi-ban! 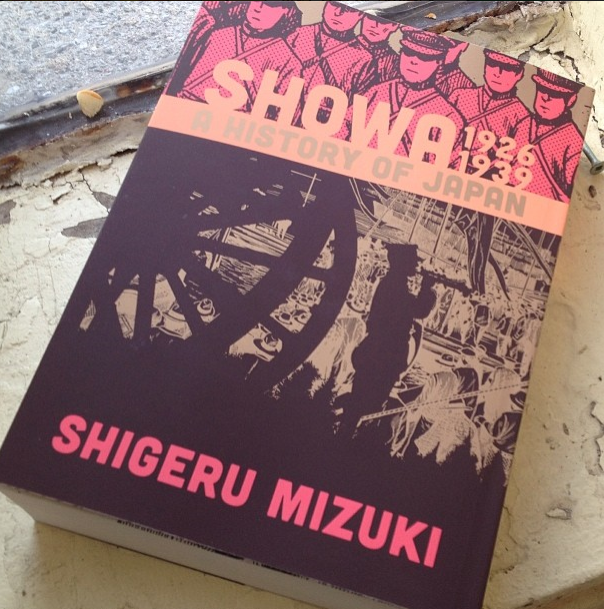 Reading Showa:1939-1944 right now. Thank you to Mr.Davisson for translating and thank you for your amazing work and making history so relatable, Mr.Mizuki! Hello! I really enjoyed your article and was wondering if you know how my daughter and I could write him a fan letter/thank you? Feel free to email me, if that’s easier on you, or if you might not want to share the information publicly. We would love to let him know how much we admire his work and how he has influenced us.